Michele R. Pistone is director of the Clinic for Asylum, Refugee, and Emigration Services, and a professor at Villanova University School of Law. Prior to joining Villanova faculty in 1999, Pistone was a teaching fellow in the asylum clinic (Center for Applied Legal Studies) at Georgetown University Law Center. For more information on Professor Pistone’s work visit her Villanova faculty page. In the wake of new ABA standards calling for more experiential learning in law school, Professor Michele Pistone is helping professors free up class time for practice-based learning by turning lectures into homework assignments. In 2013 Pistone founded LegalED, a growing collection of online video lectures from expert professors around the world, spanning core legal subjects: from contracts law and trial advocacy to cyberlaw and copyright. By putting lectures online, LegalED is making it possible for professors to assign lectures to students outside of class, in order to free up time for hands-on learning exercises. Pistone hopes LegalED will become a central hub for professors to find video lectures, so those looking to move lectures outside of the classroom can pull from an existing stock of resources, rather than having to tape dozens of lectures on their own. At the same time LegalED offers professional development resources to help professors learn how to record, edit, and contribute video lectures to the LegalED community to ensure its continued growth. To date, LegalED encompasses 137 short lecture and professional development videos contributed by 96 law professors from around the world, with more videos being added every week. 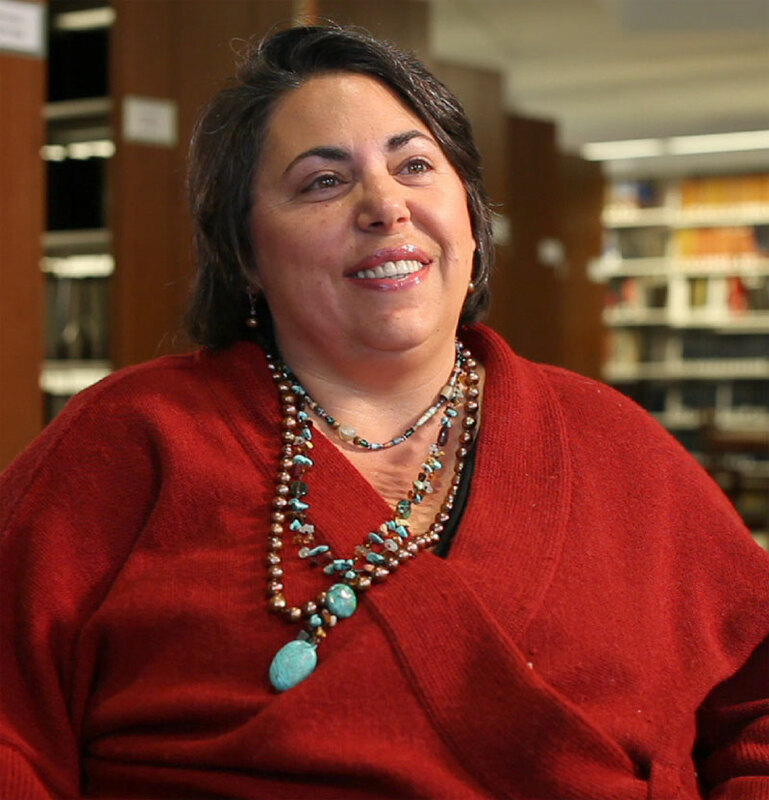 I caught up with Professor Pistone to learn more about LegalED and her future plans for the organization. What inspired you to start LegalED? MP: Over the last few years I have been studying legal education reform. To give you more context: in 2007 the Carnegie report came out and was critical of legal education, in that it said there was a lot of focus on teaching doctrinal knowledge and not enough focus on professional skills and values. That same year the Best Practices For Legal Education report came out by Roy Stuckey and a group of people, again criticizing legal education for the same reasons. There was also research from profs at UC Berkeley that looked at what makes someone an effective lawyer and they came up with 26 effectiveness factors, and when you look at the list a lot of them are not covered under current legal education curricula. I saw there were changes taking place in the practice of law and in legal education, and I started thinking about alternative ways to teach law and bring more skills-based training into the academy. That led me to do a lot of research and I wrote an article called “No Path But One: Law School Survival in an Age of Disruptive Technology,” talking about law schools in the face of disruptive technologies. I looked at online learning and how it is being used in other areas of higher education. My research led me to develop LegalED. How does LegalED help professors free up class time to incorporate more practice-based learning into law school? MP: My idea [for LegalED] was to try to figure out how to use technology to free up some face-to-face class time between the professor and student to bring more of the legal competencies and professional skills lawyers need into the classroom. By moving lectures online the teacher can kind of switch roles from being what they call “a sage on the stage” to someone who’s more of a coach or a facilitator. This is also consistent with learning theory about how adult learners learn. Learning theory tells us that people learn best when they are actively engaged in their learning: when they have autonomy, mastery, and purpose. I saw migrating the pure lecture part of the classroom online as a way to free up classroom time for more active practice-based learning and really flipping the classroom. LegalED is a really good example of how a scholarly community can work together to create this kind of material. A lot of people, when they think about flipping the classroom, think about the burden of having to transcribe and put all of their lectures online. But it doesn’t have to be one person creating a whole series of lectures. We can work collaboratively, and that’s what LegalED is all about–figuring out how to work as a community to create a collection of videos everyone can use. MP: Flipping the classroom essentially focuses on migrating to the web material that can be effectively taught online and having students do that as homework. So, if you think about a traditional classroom, professors usually spend some of the time delivering knowledge in plain lecture. If we can migrate that part of giving the lecture online, then we can free up the classroom for more problem-based learning. So you’re basically flipping the lecture part out of the classroom to facilitate more interaction. How are LegalED videos made and who makes them? MP: I have created some videos and co-produced some videos with professors and I have also worked with professors to give them guidance through webinars we’ve done [on LegalED]. Some professors have also made videos on their own and brought them to us. Over time I’ve found that shorter videos are better. I tell professors, make sure your video is less than 10 minutes, because people’s attention on the web is shorter than in another setting. We try to chunk it up into short modules that can be combined and remixed in any combination, which is another value, I think, of making this collection of online videos. You recently partnered with FWD.us to produce a series of videos on immigration law now featured on LegalED’s homepage. Can you explain how that partnership came about? MP: FWD is an organization that was started by Mark Zuckerberg, the founder of Facebook, and other Silicon Valley leaders like Bill Gates and Reid Hoffman. It’s focused on doing legislative lobbying for interests that [the FWD founder] community shares, and right now their primary focus is immigration reform. When I learned about this effort I reached out to the director of FWD and met with him in Washington DC and pitched an idea–that in order for people to understand immigration reform they need to understand immigration law. There are a lot of misconceptions about the law. So, if we could create a series of educational videos, that would help in the effort to reform it. FWD was very excited about it, and they sent a videographer from CA to DC and we spent two days videotaping prominent law professors in the DC area on topics that they knew best. Then they sent two videographers to the Immigration Law Professors workshop, which took place at UC Irvine Law School in May. We actually have more footage from the conference, so we’re going to be creating more videos from it as well. How does LegalED help professors find effective ways to incorporate hands-on learning into their classrooms? MP: We’re focusing on creating content so that flipping the classroom or blended learning becomes possible, but we also recognize that a lot of professors aren’t trained in these new techniques and teaching methodologies. So part of the website is also focused on creating professional development materials law professors can access at their own pace that might help them to think differently about how to use face-to-face classroom time with students. Under the tab that says “teachers,” if you go down to “videos re: teaching,” you’ll see there’s a host of short videos about law teaching that we continue to update on a regular basis. Some of them are about how to flip the classroom, some of them are about how to use visual art and create power points that are more engaging, how to do assessment in the classroom and so on. In addition to that LegalED has hosted a series of webinars for professors from around the country on topics ranging from flipping the classroom to how to create educational videos so that we can start building up this collection. This all really led to our first conference, Igniting Law Teaching, which was, as far as I know, the first conference of its kind that focused entirely on legal pedagogy and teaching methodology in a TEDx format. Can you tell us a bit about the Igniting Law Teaching conference? MP: The conference we had in April was the first of what we hope to be an ongoing series of conferences. It was sponsored by American University Washington College of Law. It was really generous of them to host and facilitate it. People applied to participate in the conference, and then when they got accepted we gave them a schedule and a list of expectations of what we needed them to do to help make the conference successful. The instructions included that we wanted them to refine their idea and get it down to 8 minutes or less, it was in that sense very much like a TEDx conference. I have a [TEDx] license at Villanova University and I have hosted two TEDx conferences and spoke at one, so I basically used my experience in that and I moved it to my work with the professors who were going to be in the Igniting Law Teaching Conference. We started out by saying, we expect the talk is 8 minutes or less, we expect you to have memorized it so that you don’t use a podium and you don’t use notes, and we expect that if you’re going to use a power point it mostly consists of images. So you can imagine, that was very different to what professors are traditionally used to when they appear at conferences. It was amazing, the speakers were incredible and people left that conference telling me it was the best they had ever been to; because it was new, it was exciting, it kept people’s attention because each of the talks are 8 minutes or less. Throughout the day we had like 35 speakers, so that’s 35 new ideas. By the end of the day there was so much energy and excitement and enthusiasm for continuing the project. How do you see the future of LegalED developing in light of the new ABA accreditation standards? MP: We have goals of adding assessment to the website, so that it would be in line with the new ABA rules and provide continuous feedback and formative assessment rather than just the summative assessment we have in traditional classes. And we hope to add technologies that will make it possible for professors to monitor how students are learning–whether they watch the videos and if they stop and watch it again, what parts of the videos they stop at–so we can get feedback on how the videos are being used. All of those technologies are on the horizon. We’re also continuing to host webinars on interactive teaching, and we’re starting to host workshops at conferences where we can actually work with professors to teach them how to storyboard a lecture video from conception of the idea to production and post-production. Have students come to you with an interest in being involved in LegalED, and would you consider student videos? MP: Yes, we actually just started a student ambassador program and we have gotten a lot of interest from it. Students from schools around the country can register to be ambassadors for LegalED and kind of promote it among their colleagues at their law school and even their professors. We’re finding that some students, when they look at the videos and when they find out how useful they can be, are good vehicles for telling professors to think about this new way of teaching. Whether students can make videos–it’s definitely possible. The best way to learn is to have to teach, so what better way for students to learn legal subjects than to make a video about it? So that’s another way for students to participate. Submit to Law Reviews on Scholastica: getting started! New Scholastica support video gives law review submissions walkthrough. Learn how to: Find journals to submit to, manage your submissions, make bulk expedite requests and more.